This artist's illustration depicts a NASA "windbot" soaring through the skies of Jupiter, powering itself by the planet's powerful winds. The polyhedron design shown here is a notional concept that would spin to absorb wind energy, creating lift to stay aloft. The so-called "windbot" is the brainchild of engineers at NASA's Jet Propulsion Laboratory in Pasadena, California, and represents a potentially new class of robotic spacecraft -- one that could remain airborne in a planet's atmosphere without the need for wings or a hot-air balloon. The high-tech concept has received $100,000 in funding from NASA's Innovative Advanced Concepts program, which "nurtures visionary ideas that could transform future NASA missions," according to a program description. The windbot concept calls for rotors attached to different sides of the probe that can spin independently to navigate and create lift. The design is similar to how dandelion seeds seem to float effortlessly through the air on Earth, one scientist said. "A dandelion seed is great at staying airborne. It rotates as it falls, creating lift, which allows it to stay afloat for long time, carried by the wind," Adrian Stoica, principal windbot study investigator, said in a statement. "We'll be exploring this design in windbot designs." But keeping the robots aloft isn't the only challenge. The engineers also have to solve the problem of how to keep them alive. Nuclear power sources would be too heavy to keep the spacecraft in the atmosphere, and solar power is too risky, since windbots could easily get caught in Jupiter's extended night. But, since the windbots already need wind turbulence to stay airborne, Stoica and his team suspect a wind-powered energy system is their best bet. "It's a spring of energy a probe could drink from," Stoica said. He likened the proposed energy system to wristwatches powered by shaking. That power concept does come with a potential drawback. Just as sailing ships on Earth depend on the wind to push them across the sea, windbots on Jupiter would have to make sure to follow the winds to create power. That could mean taking longer routes than scientists would like to reach interesting locales. If the design succeeds and is affordable, windbots could be used on multiple planets to explore atmospheric properties and changing weather patterns. They could even be used as a tool to explore harsh Earth weather events, such as hurricanes or tornadoes, NASA officials wrote in a statement. "One could imagine a network of windbots existing for quite a long time on Jupiter or Saturn, sending information about ever-changing weather patterns," Stoica said. "And, of course, what we learn about the atmospheres of other planets enriches our understanding of Earth's own weather and climate." 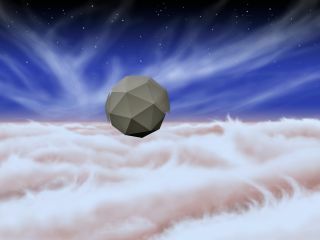 Stoica stressed that his team's windbot concept still faces major technological hurdles before one could ever attempt a trip to Jupiter or elsewhere. "We don't yet know if this idea is truly feasible," he said. "We'll do the research to try and find out."